During the process of making all my replicas consistent something went wrong. I don’t know as of yet what caused the issue but will investigate further later. Basically the DPM Administrator Console suddenly shutdown and would not start back up, claiming the DPM Service was not running. I checked my services and it was actually running however the DPM AccessManager service was stopped. Description: The DPM AccessManager Service service terminated unexpectedly. It has done this 7 time(s). 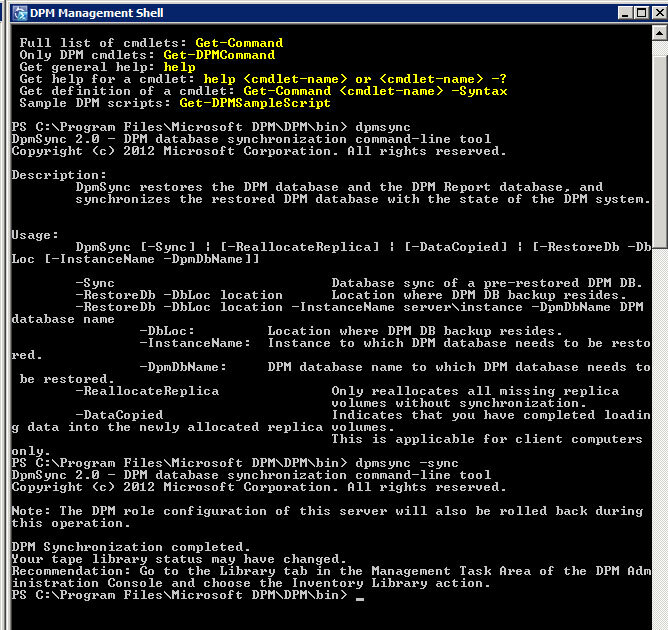 I then re-tried the DPM Administrator Console and all was good in the world again. As I said I do not know what cause this problem but this procedure repaired the problem and I have had no issues since.